The cockerel that had been strutting around the previous evening decided to give full voice at sunrise so we were up bright and early. With the dawning of the new day all was well and the tribulations of the previous day’s shopping were behind us. Even Paul’s sore neck had improved. 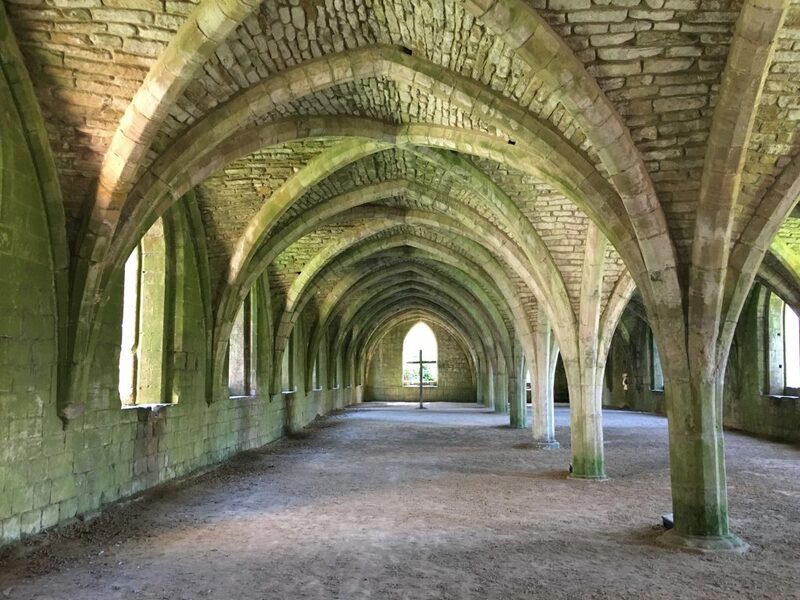 We made our way to Fountains Abbey in a good mood. Somehow we had missed visiting any of the Scottish border abbeys, so this visit was to make up for that omission. 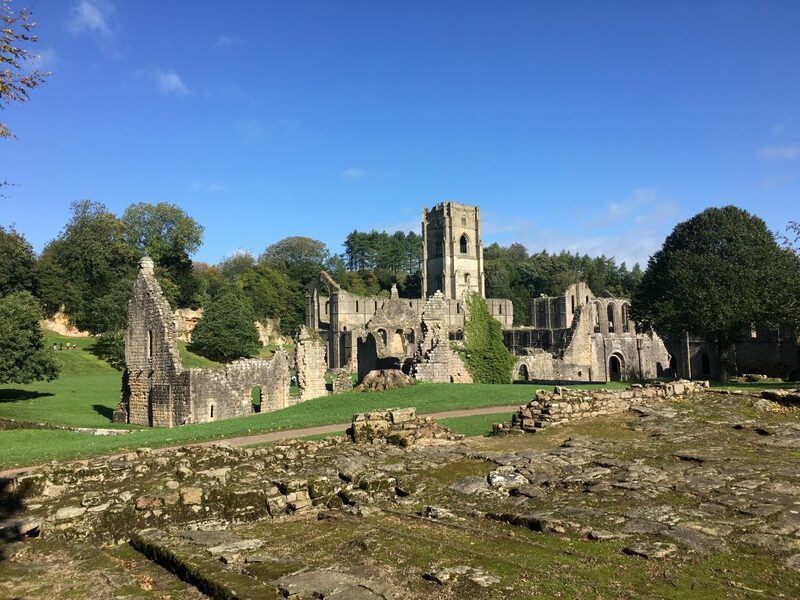 What I hadn’t realised, until picking up the leaflet at the entrance, was that it’s UNESCO World Heritage status is not solely due to the abbey remains, which are lovely in their own right but not exceptionally different to other ruined abbeys. It is a World Heritage site due mostly to the way in which the ruins of the abbey were incorporated into the 18th century landscaping of Studley Royal Park. 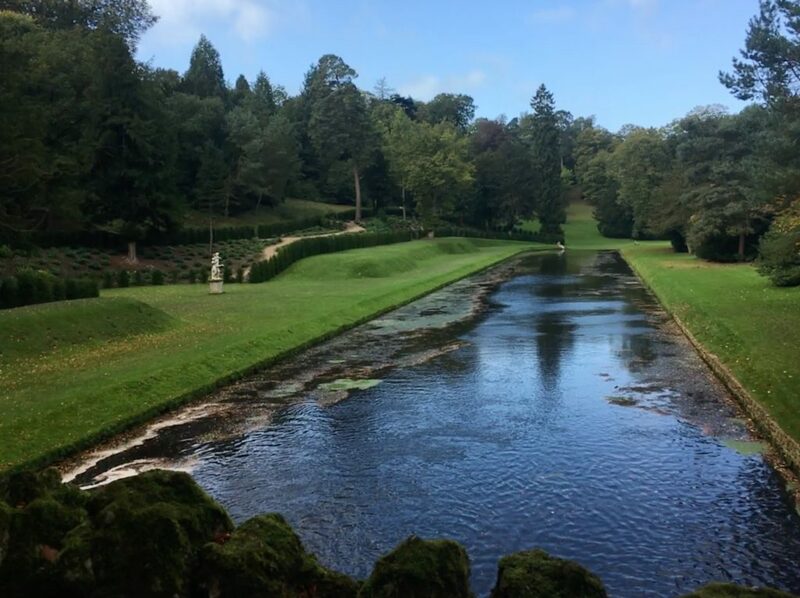 Initially the landscaping was created by John Aislabie to draw the eye to Fountains Abbey, but he didn’t own the land the abbey was on. Later he managed to buy the land and so it could be incorporated more fully. 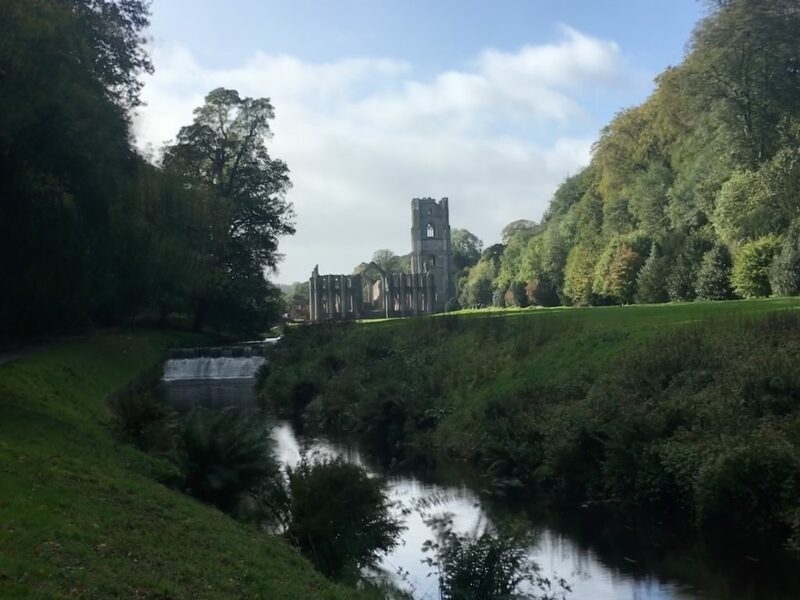 The river has been tamed and controlled to create a series of canals and lakes through the park with many features and follies dotted around to offer interesting viewpoints, with the abbey being the ultimate dramatic and romantic view. 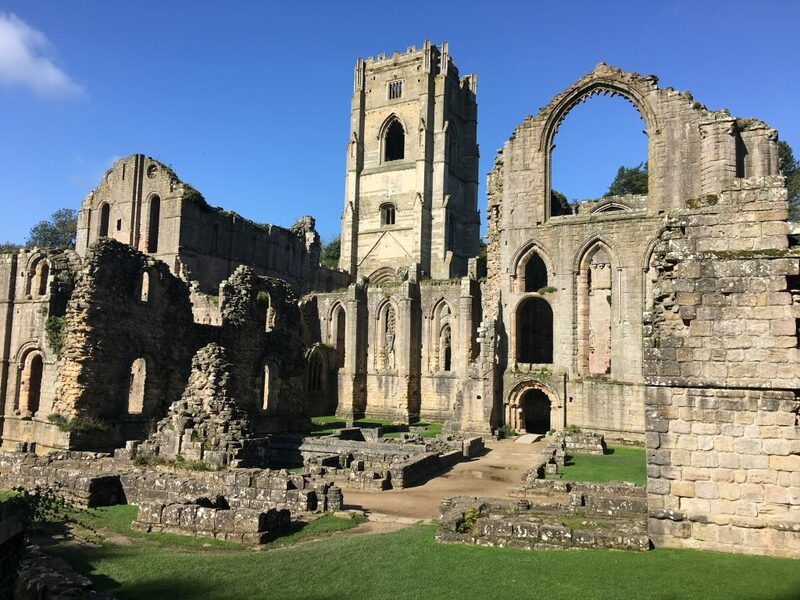 The abbey buildings are very impressive in their scale, especially considering it was established by monks who wanted to live a simple life of poverty and abstinence! Although there are buildings of similar age that are wholly intact, somehow the fact that it is a ruin makes it seem even more impressive. I think that it’s because of the amount of the structure that remains despite it being ruined and raided for stone to be used in other buildings. We had a good day wandering around the abbey and the park. The sun was shining but it was very windy which meant that some of the wooded walks were closed and we missed out on seeing some of the follies and viewpoints, but even so there was plenty to interest us, including the obligatory tea and cake.